The alarm on my mobile phone went off at 06:00hrs., but I'd been awake for some hours. It was cold and I didn't want to get out of bed. But I had to, I was busting. After I'd sorted that out and put the kettle on, I started packing the last of the bits and pieces - The walkie talkies, keys, torch, chargers etc. etc. then outside and brrr! 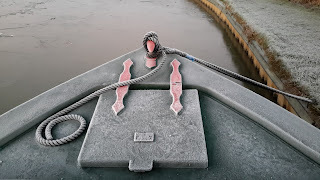 its cold, well below freezing and a black frost. I tried cleaning the odd bits and pieces that I missed last night but any water I used just froze on the cold steel. So that had to go by the bye. 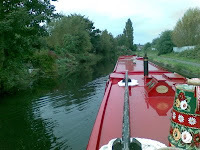 Time to get TQ over to the other side of the canal for a pump out, a re-fuel and replenish the water tank. Managed to "negotiate" a 40/60 split on 58.73 litres of diesel (thats 40% propulsion, and 60% domestic) as its been cold, and the engine is not propelling the boat when in locks so its generating electricity and hot water, and there's been 108 locks. Brought the car down close to the boat and began loading. A quick visit to the office to pay our dues and we were on our way down the M42 and M5. A stop in North Petherton to pick up the cat and we were home by 13:00hrs. Just about the only use for these expensive bollards, although I can think of one other and it involves walking the dog. I'll leave that one to your imagination. Boxing Day and Our last full day. Friday 26th, and we pushed on back to The Queens Head at the bottom of the Tardebigge Flight. 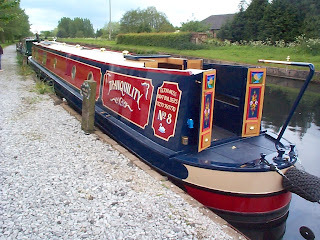 From Oddingley we traveled about four miles before we came to our first locks of the day, a flight of six at Astwood and then a stop opposite the Boat and Railway to pick up water and have lunch - turkey and ham sandwiches and a bowl of soup. Onward, and through another six locks at Stoke and an overnight stop at the Queens Head. This time we didn't go in for a drink as we still had loads of food and drink on board and we didn't want to take it home with us. There was a lovely sunset just after we moored. As the Sun sinks slowly in the West... through the bridge 'ole. Saturday the 27th, and now the return onslought. 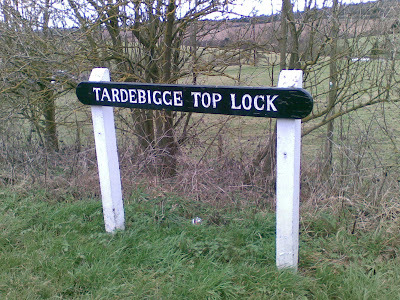 Thirty locks of the Tardebigge Flight, and all of them to be done today. Well, as it turned out it was a doddle. Started at 09:00hrs and finished at 13:15hrs. All bar three locks were in our favour, (this means they were already empty and waiting for us) so lucky. But we can't stop yet we're still too far from Alvechurch. 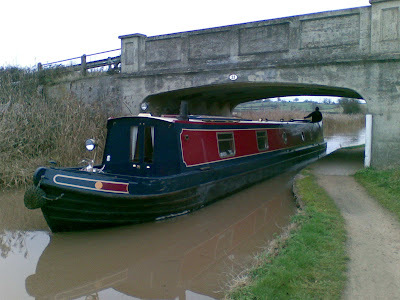 So its onward back to our base through Tardebigge Tunnel and Shortwood Tunnel before mooring opposite the marina on public moorings. We cleaned our boat and packed ready for the morning. Well here we are, Christmas Eve, and after a morning spent in Worcester, looking around the City and the Cathedral, Lin wanted to look around the Cathedral, I'm not the religious type, but I couldn't help being impressed by the architecture, it is quite amazing. Back to the boatyard, and we said our thanks and goodbyes and filled up with water before leaving on our return journey, so we didn't get to Diglis after all. Maybe another day. So its back to our planned stop The Bridge. An excellent meal again but this time it was a bit more expensive, but we don't mind paying more if its good and indeed it was. 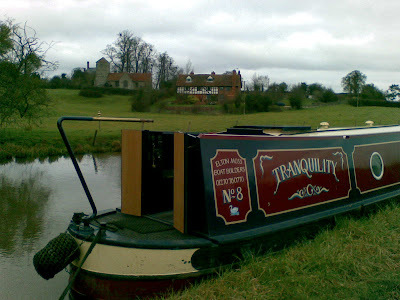 Christmas Day, and we had a lazy morning, other boats moved away well before us, but we thought no-one would be mooring on a spot we picked out on the way to Worcester. About 3/4 of a mile further up the cut is a nice spot between two bridges where the railway line comes close to the canal. There being no trains today, its very peaceful here. Our Location on Christmas Day. After phoning home and Lins parents in Spain, we settled down to Christmas lunch. Turkey sprouts, roast potatoes, roast parsnip etc., then we opened our presents. I'd better start where I left off - last night in the Bridge Inn we had a superbe meal, bearing in mind it was Monday, and Monday night is CURRY NIGHT. Well, its gotta be dun, annit. And we had a really good chicken curry served in a stainless bowl with a rice tower on a plate together with a poppadum. It didn't look too large on the plate but we found it quite filling. Afterwards we had a cheese platter with biscuits. All this and two rounds of drinks came to £20.40. How cool is that? A dull day, but hey its not raining. Anyway, Tuesday, and it started a bit miserable with a light drizzle early on and remained dry and cloudy for the rest of the day. Pulled away fron the Bridge Inn at around 09:00hrs and got into Worcester by 13:00hrs, after having done twelve locks, four of which were flooded making it difficult to open gates. 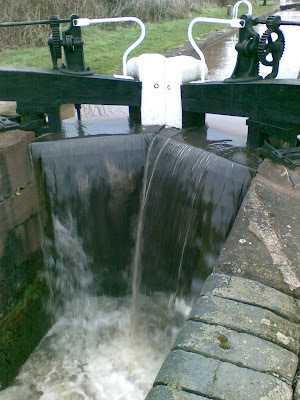 Top pound full to overflowing into the lock. Can't open these gates until the level drops. Lower gates and again overflowing into the pound. Pulled into the Viking Afloat boatyard and I turned TQ around while Lin went to find someone to ask permission to stay the night. No problem, and it was 0.15p/foot length for secure moorings. The man said we were the first boat movement here for weeks. So we moored alongside one of the Viking fleet, and then went into the City for some shopping. Incidentally I forgot to bring the card reader with me so I'm not able to upload any photos until we get home. Tried to get one today but they were all silly money. 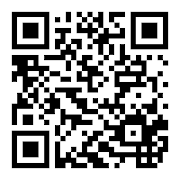 Ihave some photos taken on my mobile phone so I apologise for the poor quality. The Internet connection is so slow it takes about 5 mins to upload a photo, and thats the fastest it will go, so no more photos 'till we get home - sorry. 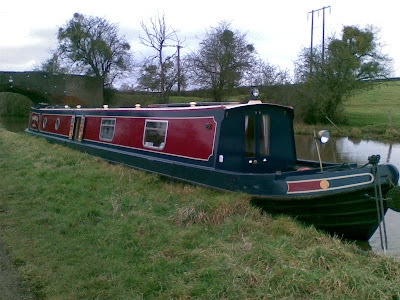 Off to Diglis Basin tomorrow to fill with water and to 180 (turn around). ...have been up and down. Got up early on Sunday morning, 05:00hrs and after packing the final bits and pieces we toddled off up the M5 towards Birmingham. A good journey, two hours in all, and when we arrived at the boatyard, it was closed so we had to wait for them to open. (Should have been 09:00hrs but it was 09:20hrs before there were signs of life). When they opened I went in and asked for the keys to TQ and they couldn't find them. Spent ages looking for them and made some phone enquiries, but to no avail. So I phoned the Carefree engineer and he said they were in the gas locker. Lo and behold there they were together with Willows keys. After loading the boat, checking the diesel, water levels, oil level etc. we made off. Departed Alvechurch at 11:00hrs and when we got to Tardebigge tunnel there was a sign telling us to keep to the left of the tunnel. When we were inside there were some lights in the distance, couldn't make out what it was until we got really close. It was a Santas Grotto and a trip boat was bringing boat loads of kids into the tunnel to see Santa, and it was all very well done. 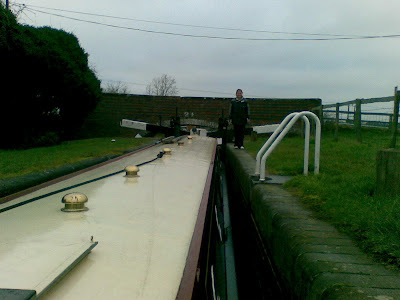 After a gruelling trip, during which the sun did shine, through 30 yes 30 locks we made it to the Queens Head by 17:00hrs and yes it was pitch dark, the last locks done by candle light. No I jest, there are lights on the boat and I operated the locks by torchlight. Later we went into the Queens Head for a meal, but unfortunately they don't serve food on Sunday evenings. So we just had a drink and came back to the boat and had a buffet style supper. The last time we went in that pub was nearly twenty years ago, and its changed a lot. Its not what I'd call a traditional pubby pub like I remember it, but more of an up market (well almost) too well decorated semi restaurant with Sky Sports on a very large wide screen, and sofas that have become a bit too careworn. All a bit too commercialised for my liking. Monday, and wer'e up early before first light, couldn't wait to get started and stuck in to the remaining 12 locks to Tibberton. We arrived at the Eagle and Sun bang on lunch time but the pub was closed. Food was being cooked, we could smell it, but the doors were locked and no-one seemed to be there. The time was nearly 13:00hrs and a notice said they open at 12:00hrs. Oh well, they've lost our business, and a few others no doubt too, so we had lunch on the boat instead. By this time they were open - tough. After lunch we headed off through Dunhamstead and its tunnel. Lin was hoovering the carpets as they were in a very dirty state when we took posession, when we went through the tunnel. "Who put the lights out", came the shout from within. Going through Oddingley we spotted a nice spot where we'd like to moor on the way back for Christmas Day, right next to the railway line. It'll be OK, there'll be no trains running that night, so It'll be peaceful. On to Tibberton and we've moored right outside the Bridge Inn. Lets hope its open and we can get fed tonight. Third time lucky maybe? Will keep you posted. ...and the car is packed ready to go. The woodburning stove in our dining room is ready and waiting for me to cook a steak in, and a glass of fine red wine is on the table. A superbe meal of steak chips and very large mushrooms, followed by a chocolate cheesecake with ice cream. How dirty is that? Here's looking forward to tomorrow. Due to excessive amounts of silt being washed into the canal navigation is restriced to the offide section of the canal. Dredging in the area may cause some delays where safety dictates this.Please note the canal is closed until 1pm on Friday 19th December 2008British Waterways apologises for any inconvenience caused. Due to adverse weather conditions an excessive amount of silt has washed from surrounding fields into the canal reducing the draft to and un-navigable depth. 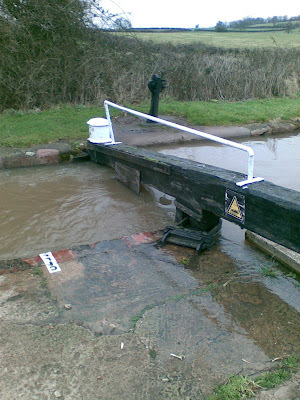 The navigation is closed from Tardebigge to Alvechurch Marina. There are winding holes at both Alvechurch and Tardebigge.Due to the nature of the problem updates for completion will be supplied as soon as they are available.British Waterways apologises for any inconvenience caused. We'll be keeping an eye on the situation leading right up to the day we go.